Sorry… I know the t’interweb is full of this already, but the thing is, I just don’t get why Apple would want to spend $3.2 billion on Beats. I know there are articles all over the place saying its the best idea since the iPad, but I don’t buy it. As far as I can see Beats has three assets Apple might want: the brand, the hardware and the Beats Music streaming service. Now this is the only one of the three that could see having anything like that sort of value. Beats is ALL brand, Dre and Lovine have done an amazing job building up a brand from scratch that for many has the same sort of kudos as Apple. So there’s no argument from me that few organisation have a brand as strong as Beats… but Apple’s brand is almost certainly stronger… so does Beats give the Apple brand anything? I’m sure there are some demographics where Beats might be up there with Apple, but I’m guess there won’t be many (any?) where its stronger. In fact I’d argue that in some areas it may detract from Apple. Lets be honest… Beats headphones aren’t great… sure they look cool but they sound horrible. Say what you want about Apple as an organisation, but their products are consistently excellent, why would they want a range of products that, well, isn’t? Maybe I’m old fashioned and in reality function no longer matters along side form, but I hope that’s not the case. 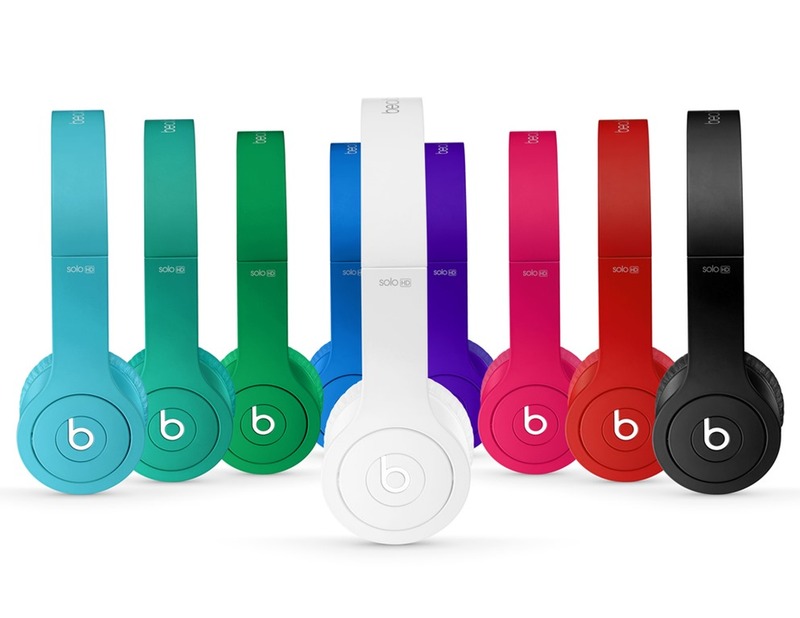 Of course beats products do have one very attractive feature – profit margins. These things are a cash generating machine, headphones that sell for hundreds cost a fraction of that to make. But again, Apple is already a cash generating machine, so why? Apple helped change the way people consume music, and got rich from that change, but in my view they haven’t kept up. iTunes was a game changer, the shear convenience of downloading music, and even paying for that, wasn’t a new thing, but Apple wrapped the whole it in an end to end service that people loved. But people didn’t stop there. Having already broken through the mental barrier of paying for a music track that was just 1’s and 0’s with no physical item to touch, people soon started to see the benefit of streaming services – why own the track at all with you can just stream any track you want to hear at any time? Companies like Spotify have seen massive growth but Apple has been very late to the game. iTunes Radio isn’t available in most markets and Apple are playing catchup in a field they should be dominating. Could this be why Beats is worth the cash? It could well be, certainly Beats Music has seen decent growth but its still a small player, tiny compared to iTunes and even Spotify. Maybe Beats has a wider range of streaming licensing deals that Apple? How those would novate to Apple following the purchase I don’t know. I suspect that if Apple was interested in Beats Music for that reason it would only be because the record companies didn’t want apple to have those agreements in the first place (if I was them I’d be scared of Apple getting too big too). If that was the case I would imagine there would be get out clauses that would be exercised fairly quickly. So yeah… I don’t get it. Unless you’re Dr Dre or Jimmy Lovine I’m not sure who wins from Apple paying $3.2 billion for beats. Other companies sure, but for me Apple don’t need them. But hey, I’m no expert and I’m sure I’ll be proved wrong! It may not be you it seems. Or so says the Enterprise and Regulatory Reform Act which received royal assent last week. You probably thought, and until last week the law would have agreed with you, that as the creator of your work you owned it, and that others could not use of profit from the work without permission. The Enterprise and Regulatory Reform act includes changes to UK copyright law that allows anyone to use ‘orphan works’ for commercial or non-commercial use, including sub-licensing them. As you might imagine, quite a lot hangs on what counts as an orphan work, but from what I can tell that’s all a bit vague. Essentially it would include any photo or work where the original creator isn’t known or can’t be traced. The question really is how photo’s that you might post on Facebook or Flickr would be treated. If they don’t have metadata tying them to you, and a decent search doesn’t reveal you as the owner can someone claim you can’t be traced? The act does state that someone would have to perform a ‘diligent’ search for the owner of a work, and that the search would have to be validated as diligent by an independent authorising body. Again however it seems to be unclear as to who that is or how the process would work. While the act will potentially make millions of old works who’s owners are legitimately unknown available for the first time, it’s odd that there hasn’t been more widespread awareness. A few months ago Instagram was hit by a widespread backlash when it suggested something similar. Hopefully some smart people at the photo sharing sites will provide an option to automatically tag the metadata on photos with account details of the site. Hopefully it would then be difficult for someone to state they couldn’t find you. Seriously, it must take time and effort to do such a crappy job building the images the big OEM’s are putting on Windows 8 laptops at the moment. I’ve looked at four now, from Lenovo, Sony and Dell and all have been awful until you go in an undo some of the ridiculous things they install and configure. 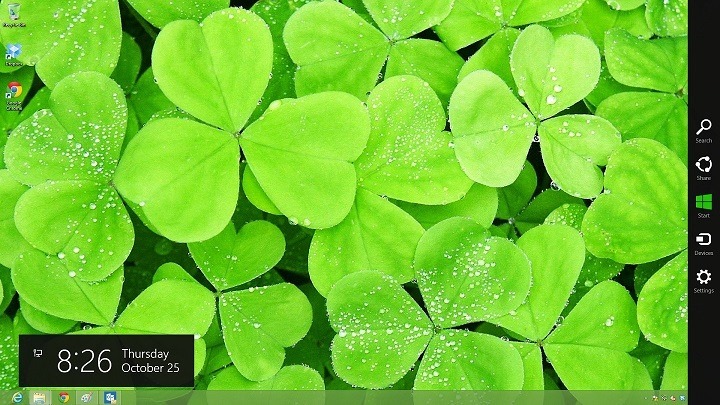 I’ve been using Win8 for a long time now, and I really like it. Sure there’s a learning curve to the new interface, but actually once you get your head around the fact the start menu is now a whole screen there’s a lot to like. This has left me puzzled as to why people complain about it so much, but after seeing how Win8 computers ship from their factories I’m not surprised! Unfortunately nearly all the vendors see fit to install all kinds of ‘crapware’ on their computers. Utilities and programs that no one really needs, but that they’re paid to install in the hope you’ll buy more of them. With Window 8 computers though there seem to be two things that stand out. The biggest problem I’ve found are dodgy trackpad drivers. Something I noticed on both the Lenovo and Sony laptops was that the Charms or Start bars would randomly appear. It killed the flow of whatever I was doing and confused the crap out of the user experience. I couldn’t work it out until I realised that some bright spark had decided to configure the same gestures on the trackpad that you get on a touchscreen. If you’ve not used Win8 on a touchscreen (and you should – it’s great) you can swipe your finger in from the left hand edge of the screen to bring up the start bar, and the right for the Charms. It works well on tablets, and even on touch enabled laptops you find yourself touching the screen rather than moving the mouse. On a trackpad however the same gestures just don’t work. You’re unlikely to accidently swipe your finger over a screen, but you’ll move your finger over the edge of a trackpad all the time when moving the curser around, or scrolling across screens. Finding the option in the Mouse settings (Settings Charm > Control Panel > Hardware and Sound > Mouse) for your trackpad and turning those gestures off makes a world of difference. All of a sudden the OS doesn’t seem to have a mind of it’s own! As well as the dodgy trackpad settings, all of the laptops I’ve helped people with have had Antivirus software installed… Now in the past that would have been a good thing, but Windows 8 actually comes with its own AV software – Windows Defender. The only reason the vendor installs AV on there is because McAfee et al pay them to. In my experience Defender is much quicker than the 3rd party tools. Sure there are pro’s and con’s to everything but in my view Defender does a good job and ‘feels’ faster. 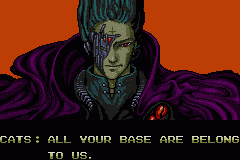 Uninstall the others. You can check Defender is running afterwards by looking in the Action Center (Settings Charm > Control Panel > System and Security > Action Center). Are all PC’s like this? A lot are, but Microsoft does have a programme called ‘Signature’ where they provide a clean, crapware free, Windows build for computers. To my knowledge only the Microsoft store and Vizio supply them however. If I was MS I would find give incentives to the OEM’s to drop the crapware and instead install a clean ‘Signature’ install of Windows. They need to do something before the OEM’s render Windows completely unusable. 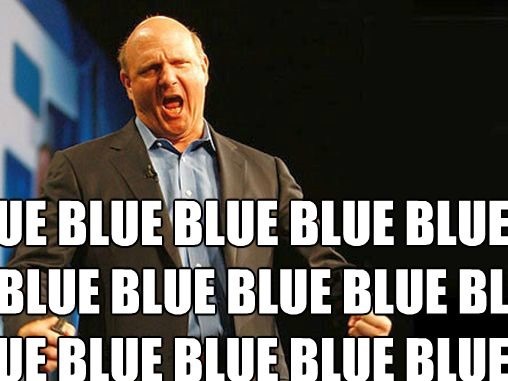 There’s been a bit of fuss in the tech press this week after the next version of Windows, codenamed Windows Blue, leaked onto the Internet. Whilst I’m sure its all very exciting in its own right, I think there’s another aspect to this release that’s worth talking about, and that’s Microsoft’s new fondness for annual release cycles. In addition to Windows, Microsoft have also recently started to talk about a 2014 release for the next version of Lync, their unified communications platform. This is of course all in addition to the monthly releases made to the Office 365 cloud services. The ‘click-to-run’ deployment tools for Office 2013’s subscription licenses would also allow MS to easily release regular upgrades of Office. If this is a sign of things to come what will it mean? In some ways this is great news, it means we’ll get lots of new technology and capability. Certainly from I’ve heard of the new Lync release it’ll be a worthwhile update. Looking at it from Microsoft’s perspective they get to bring their cloud and on-premises releases closer in line, helping them to demonstrate the long term value of their subscription model and Software Assurance (their name for software maintenance contracts). The later in particular is something that has haunted MS since Vista’s late release – lots of companies effectively paid for an OS upgrade they didn’t get, and it’s cost MS dearly in lost Enterprise Agreements. The problem with more frequent release cycles is that deploying software, especially new software, isn’t actually all that easy. Sure Windows Blue will do just fine with consumers, but companies often struggle with the current three year release cycle for the major products. Few organisations deploy every version of software they’re entitled to, for many every other version is more appropriate. That’s not because these organisations don’t know what they’re doing, it’s because making changes costs money, money spent on peoples time, testing, training, communications, you name it. Why change if what you have is working well? Thinking ahead to next year, I know that I would have a hard time justifying any significant changes to software we might have only just deployed (yes that’s you Lync 2014). I suspect that MS know exactly how hard keeping up will be – hell, they employ teams of people targeted solely on getting people to install and use the software they’ve already bought – and is hoping that IT organisations will look at the number of upgrades they’re missing out on and start moving towards Office 365 where MS does all the leg work for them. There’s something to be said for that, and as their wider suite of cloud services matures the 365 and inTune platforms are likely to form a bigger part in companies futures. But they’re not for everyone, and for those who can’t, or don’t want to buy into the cloud could be in for a frustrating time. Today Google released a new note-taking and to-do application called Keep. New Google tools are always interesting, but this one should particularly interest me as I’ve used OneNote, and to a lesser extent Evernote, for years now. I’ve got a huge amount of notes and diagrams stashed away, and having it all in one place in a single app that lets me organise and search it is genuinely useful. And yet Google’s recent retirement of it’s Reader application has left me with questions. Every year Google has a spring clean, announcing the closure of a few tools or apps with a few months notice. The first big one was Google Wave, and last week they announced Reader was on its way out, but they are just two of many. Each will have had enthusiastic users left out in the cold, Reader more than most I imagine. The ease with which Google has turned off Reader does beg the question of whether investing time and information into Keep is going to be worth it. Sure its free, but there are other free note-taking apps out there. Evernote is the obvious one, they’re successful enough to rely on and its their core business – they’re probably not going to turn it off. Maybe I’m stuck in the past, thinking back to the days when you had applications on dvd’s that will always work… but I also see the huge value of the dynamic development the cloud apps bring. IMHO if the likes of Google are going to keep the trust they’ve earned from their customers they’ll need to start being more open about product lifecycles and support policies.